LeCol is becoming one of the UK’s most respected and desirable premium cycling clothing brands and it’s all the brainchild of Yanto Barker. “LeCol is regularly asked to produce special editions and limited runs” Barker reports, so to meet that demand and stop the Le Col waters being muddied he’s launched YB Custom. As you’d expect a full range of kit and accessories are available but it’s also allowed Yanto to create a range of kit for clubs that’s not quite so exclusive but still targets great service, materials and build quality. The range shown here is the In line custom kit a show case if you like of what’s possible. 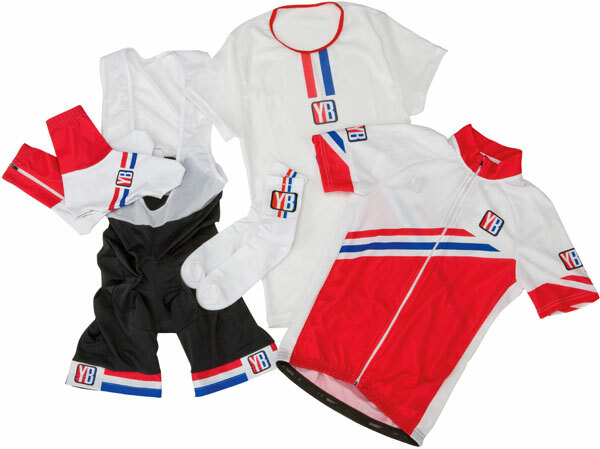 The prices are as follows bib shorts £69.99, jersey £64.99, shoe covers £24.99, base layer £27.99, socks £7.99. This article was first published in the October 4 issue of Cycling Weekly. You can also read our magazines on Zinio and download from the Apple store.